Would it be weird to admit that I’ve always wanted a bear hug from Emeril Lagasse? He seems like he’d give great hugs. And from what I’ve heard, he’s super nice and genuine. I’d love to sit at a bar stool in his kitchen, chat with him, and watch him cook. So would about a million other people, I think. 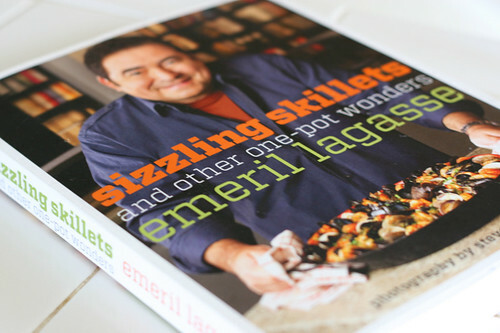 When I had the opportunity to review Emeril’s newest book, Sizzling Skillets and Other One-Pot Wonders, I figure that’s about as close as I’m going to get to the man himself. Not only did I get to review this book, but I’m giving one away to one of you! (Details below. It’s pretty painless, I promise.) This will be the first of several cookbook giveaways this fall! This book is packed with fantastic-looking dishes that, I’m sure, taste as great as they look. 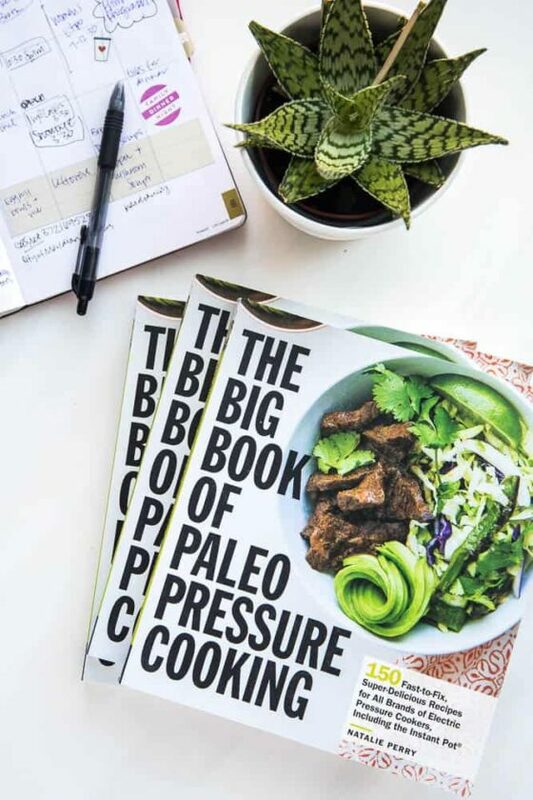 Although it’s a “one-pot” book, most of the recipes have long ingredient lists and lots of steps. It’s not a book I’d turn to on a Wednesday night at 5:30 looking for something quick. Nor is it a book I’d gather ideas from if I’m watching my diet. But it’s definitely a book I’d turn to if I’ve got dinner guests on the weekend. Or a family gathering to prepare for. Kind of comes with the territory. Emeril isn’t known for doing 30-minute meals. He is known for knocking socks off, though. I did try Emeril’s Mulligatawny, though, with high hopes. I love the Mulligatawny recipe I have here on the blog, so I wanted to try Emeril’s spin on it. Took longer than I thought it was going to, but it was delicious! It wasn’t pureed like the other Mulligatawny, but thick and chunky. Packed with vegetables and Indian spices, even my kids devoured it. I also tried Chicken in the Pot, which is a great slow cooker recipe for whole chickens! There’s a whole chapter in this book dedicated to slow cooker recipes. It seems everyone’s clambering for those lately. The recipe for this chicken is below as well as the info for the cookbook giveaway. Good luck!! Season the chicken inside and out with salt and pepper. Tuck the wings behind the back and tie the legs together with kitchen twine. In a Dutch oven large enough to hold the chicken, melt the butter over medium heat. Add the bacon and cook, stirring as needed, until the fat is rendered and the bacon is crispy. Transfer the bacon to a paper towel-lined plate and set aside. Place the chicken on its back in the Dutch oven. Cook until nicely browned, 4-5 minutes. Carefully turn the chicken onto its breast and brown for 4-5 minutes longer. (Stick the handle of a long wooden spoon into the cavity of the chicken to help you maneuver it.) Turn the chicken on its side and cook for 4-5 minutes, then repeat on the other side. Transfer the browned chicken to the crock of a 6-quart slow cooker. Add the carrots, onions, celery, potatoes, garlic, and thyme to the slow Dutch oven. Cook, stirring as needed, until the vegetables are nicely glazed, about 4 minutes. Remove from the heat and transfer the vegetables to the slow cooker, scattered around and under the chicken so that everything will fit. Add the bacon and wine/broth. Cover, set the slow cooker on high, and cook until the chicken and vegetables are very tender, about 4 hours. 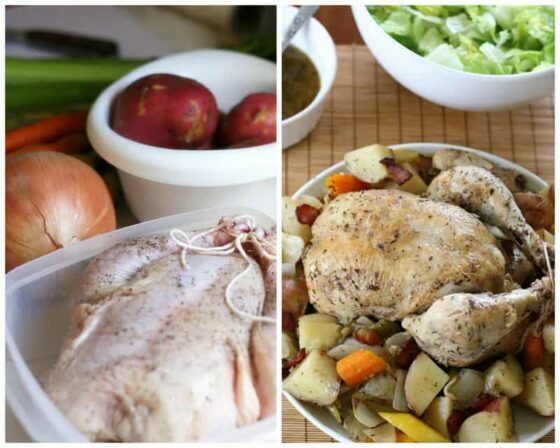 Remove the chicken from the slow cooker and set aside to rest for 15 minutes before serving. Using a large spoon, divide the vegetables and broth among serving bowls. You will able to portion the chicken easily with the spoon. Lay the chicken pieces over the vegetables. Sprinkle with parsley and serve immediately. William Morrow (HarperCollins) provided my copy of Sizzling Skillets and Other One-Pot Wonders. As always, opinions shared are 100% mine. I love a good one pot chili. Especially now that it's fall! We love black bean soup, especially now that the weather is cooler. Chicken Paprika- easy, quick and delicious. My favorite one-pot meal is definitely corn and kielbasa chowder. I just made something last night with kielbasa, and husband thought I was making the chowder just because he saw the kielbasa! I guess I should make it again soon. It's great for cooler weather. 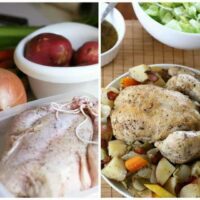 I think one of my favorites would have to be a spin on a Rachel Ray recipe for chicken, rice, and leek stoup! I have a white chicken chili-amazing! SOUP. Any kind of warm, comforting soup. Ooo my favorite one pot meal is my grandma's Czech Pork Shoulder. Braised for hours in a dutch oven and swimming in onions and beer. Goner!! ~Megan P. "Wanna Be A Country Cleaver"
I make a one pot Guinness and beef stew that is fabulous! My husband makes a mean chili. It may sound boring or traditional, but my favorite one pot meal has got to be chili! It's so versatile, you can make chili to suit just about anyone's taste! I have so many but with it being so cold right now, I'd have to say loaded baked potato soup. Love the blog its beautiful! I love this Indian dish called Bhaji Pao (or Pao Bhaji). It's a bunch of vegetables with all sorts of spices. A bowl of that with a potato bun & you've made my night! Ooh, I love new cookbooks! My favorite one pot dish is this mexican meal we make with chicken, rice, salsa, beans, and taco seasoning. 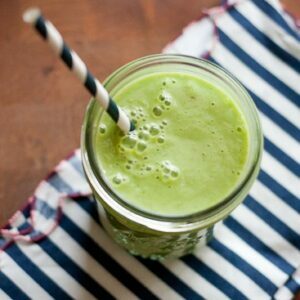 It is super fast, easy, and yummy, and the kids love it! I love Taco Soup! Yum! 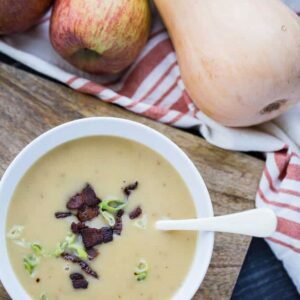 I want to try the Mulligatawny soup recipe, it looks fabulous! Just made a pot of red lentils with cauliflower and potatoes this morning. It's one of my favorite one pot dishes. This time it's flavored with some coconut milk and curry powder along with lots of onions and garlic. Yum! Risotto is definitely my favorite one-pot dish. I had a phenomenal apple-bacon risotto at a restaurant in town recently, and I'm dying to recreate it at home – but I'm a little scared it won't be as good. Thanks for the chance to win, Natalie! Hi from Hawaii!! :D I like anything that I can make in the crockpot, that's my one pot. I would LOVE a Grenadian Oil Down! Bring on the breadfruit! Living in Wyoming means no breadfruit or callalou for me! My favorite one pot since it is getting colder, is beef stew. I have a simple slow cooker pot roast recipe that fills the house with a wonderful smell and warms up a chilly night! I'd have to say beef stew. My favorite one pot meal is corn chowder. I love it is the summer and early fall with fresh corn. I adore the ease of one-pot meals. Chili and curry are our favorites. My favorite one pot meal is minestrone soup! Yum! Although I have a few favorites, I'd probably have to go with my Gram's chicken noodle soup. Says home to me. Roast with potatoes, carrots and onions and onion gravy! I love slow cooker beef stew. Kalua Pork. Hands down. 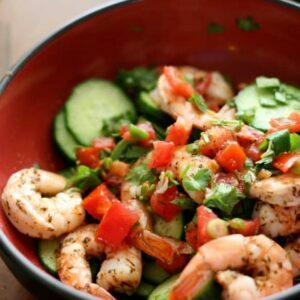 Super easy and wonderfully tasty! I've been craving chili like…NONSTOP lately so I'm going to have to go with chili. I've seen this book everywhere and all the recipes look so good! We call it Oktoberfest! It has potatoes, onions, kielbasa sausage, broccoli, carrots and of course BACON! So delicious! We love to make homemade beef stroganoff. A big pot of Yummy! Taco soup. Not the healthiest recipe in the book, but darn good. p.s. 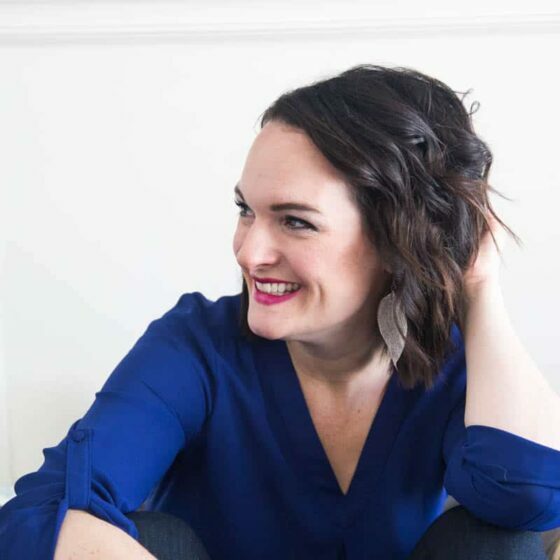 I love your blog!!!! This is just another reason why I need one of those larger, oval slow cookers! Maybe I could do it in my dutch oven? Natalie the chicken looks amazing! Thanks for the giveaway! I have to say my favorite one pot meal is Pot Roast…there's something about it that is so homey and it smells SO good! Pulled Pork! Greta on buns. Great on quesadillas. Great all on its own! I love to make beef stew, it only uses one pot, plus it's a great way to clean out the fridge! My favorite is pot roast, yum! Chicken noodle soup with lot's of fresh vegetables and thick homemade noodles! I have tried posting this yesterday, but it has not shown up so I am trying again. My favorite is always chicken soup with escarole, similar to Italian Wedding Soup. It seems we are all in the mood for comfort food. 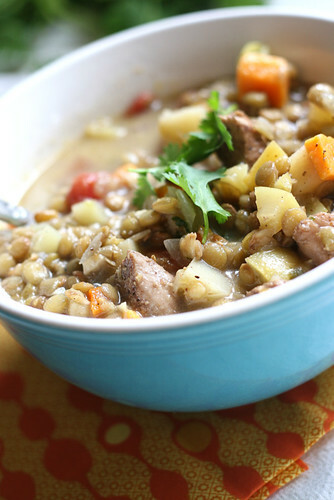 Thanks for posting the Mulligatawny recipe. I will be making that this weekend. I absolutely love a pot of stew, especially in this fall season, nothing more enticing than a pot of root vegetable stew and home baked biscuits! Chili. As a matter of fact, I'm getting ready to fix some right now. I would also love a bear hug from Emeril so you are not so strange. So have you seen the Elmo show that has Emeril on it? It's one of my son's favorites. He does seem like he'd give a great hug. I suddenly everything I think of uses more than one pot. I know I have some one-pot meals I make…. Mostly those are crock pot meals. Let's see, how about crock pot stew. Always a winner. I think ill make this recipe tonight. Favorite one-pot dish? I really live vegetable lasagna. My favorite is a recipe for Sausage Minestrone I found once on foodnetwork.com It is easy to make, and packed with veggies! I have this amazing Cafe Beaujolius recipe for Black Bean Chili. I have a greek chicken pasta I use rotisserie chicken for! My boyfriend asks for it every week! I love a good hearty stew with beef, potatoes, carrots, and whatever else I feel like. Love it! Chicken cacciatore or beef stew. It's a hard choice. I love one-pot meals, especially the long-simmering kind. They make the house smell amazing! I love one pot soups and stews . . . my fave? Hard to pick . . . maybe Tortilla Soup? Love me a big pot of beef stew! Taco Soup is my fave! A good brisket slow cooked is amazing!! My favorite is a pot of hearty white chicken chili!!! Chipotle Chocolate Chili – so easy and delicious! It's got to be soup. Pasta e-figoli (spelling?) is my current fav. Artichoke and Mushroom Orzo. Yum! I love scalloped potatoes and ham casserole…nothing else satisfies so well.